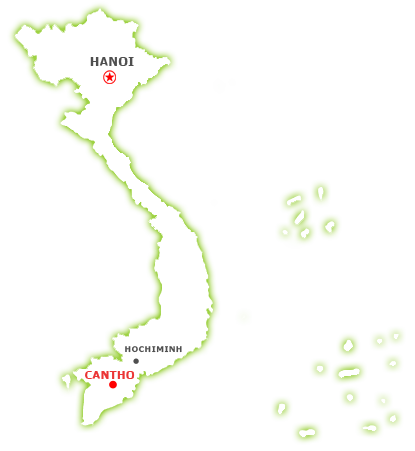 CANTHO UNIVERSITY SOFTWARE CENTER (CUSC) being established on March 2001 by the Decision No 1547/QD-BGD&DT-TCCB, Cantho University Software Center - CUSC is the first software center in Mekong Delta in training professional programmers, developing software and applying Information Technology to different fields of society. CUSC is the IT training center supplying professional and qualified human resources for the sofware labor market. For the cooperation and development, besides developing software products based on the market demands, CUSC has supported the locals in building up IT teams, as well as proposed IT solutions in different fields. "Continuously promoting and developing overseas cooperations" is the CUSC's key activity, to contribute into building the brand name of Vietnam software industry on the international market. All for national and international quality assurance: CUSC work processes are strictly abide by ISO 9001:2008 standard, and heading towards CMMI standard. Customer satisfaction: We listen to our customers’ requests, put them on top priority, and pursue the highest standards to provide our clients with affordable, high quality products and on-time delivery. Employee development: CUSC is the place where talent is spotted and nurtured. We are committed to celebrating professional working environment, high teamwork spirit, individual development and collective growth by providing training courses in Vietnam or foreign countries to enhance our staff’s specialist knowledge. Integrity: CUSC is dedicated to establishing long-term relationships with our clients. We build trust by being honest with what we are doing, and doing what we say. Innovation: In CUSC, we believe that there is always a better way to every problem. It is not just about new technology; we offer new ideas, new services to make things better. We do not only meet customers’ demands, but do all the good we can to exceed their expectations.